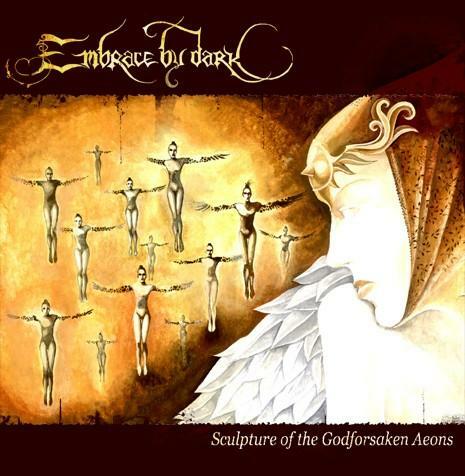 Embrace By Dark was formed in the fall of 1995 by Oracle (vocals and keyboards), Minddwell (guitars), Nickola Surbinov (guitars) and Venelin Yordanov (drums). In the beginning of 1996 the band was ready with the material for the first demo mini album. It was professionally recorded with the assistance of the guest musicians Count Magnus (bass) and Miroslav Dimitrov (flute) in March. “Inlaid Dark Arches” includes three long dark compositions that can hardly be related to a specific music genre. This “mini” immediately provoked interest in the underground environment and received very good reviews in the foreign metal press. The published materials led to signing a contract with the Croatian metal label “Full Metal Jacket”. The band recorded one additional song “...An End” for the CD release. Unfortunately, the label didn’t comply with the signed contract and it was therefore terminated by the band. At the same time Embrace By Dark was working on a new album which they offered to the Bulgarian label 0.4.3. The label decided that the band’s music was really something worth supporting/promoting/: not only the music gained distinction with its rare to find wealth and original taste but the band itself showed 100% self-devotion and deep professionalism in their work. The contract was signed in the spring of 2001. No one was able to assume how much effort and time were yet to be put into making the project successful. 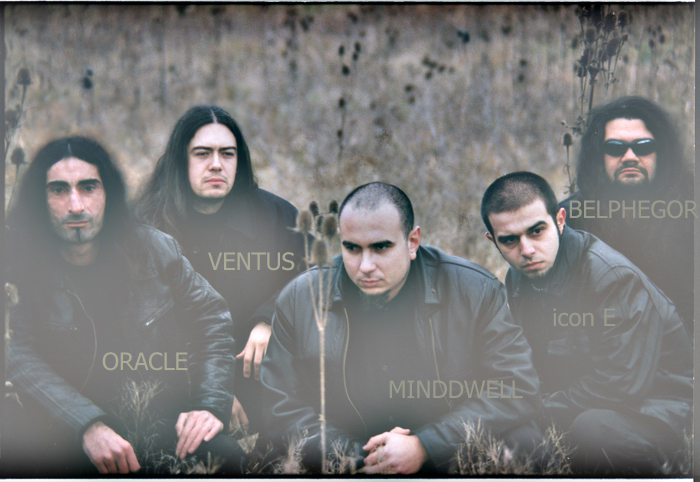 As artists with imagination, Oracle, Minddwell and Ventus created the project and designed an ambitious and exceptional album. The album “Sculpture of the Godforsaken Aeons” became a fact after two years of continuous work and thanks to the participation of 3 sound engineers, 7 musicians and a long list of other people that contributed in one or another way to bring the album to life. A significant role for the success of the album was the participation of Tzuro (R.O.B.T.F. ), Petq Chehova (flute) and the professional violin master from the Bulgarian National Philharmonics – Alvin, who became a member of the band shortly after. That dark dominated album owns a chill electronic breath coming from the DJ ZZ Mineff (R.O.B.T.F./Alien Industry). The ambitious production was fully completed after the professional mastering of Stuart Anstis in his “Steelcagesounds” studio in the UK. The fact that the ex-guitarist and sound maker of Cradle of Filth agreed to take this engagement is a high reference for the music of Embrace By Dark. The cover made by the tattoo-master Emil Saparevski and the painter-……….expresses the final vision and impression of the album. Every page posseses its own conceptual sense related to the lyrics. 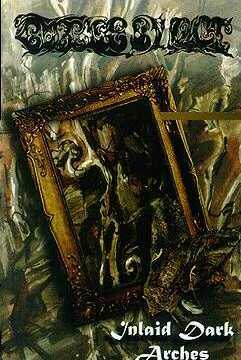 After the recording of “Sculpture Of The Godforsaken Aeons” had finished, Embrace By Dark concentrated on the arrangement of the songs for live gigs. Icon E (bass) and Belphegor (drums) joined the band officially as members. The study of the compositions took a long time and finally, in November 2003, they were on the stage for their debut gig and promotion of the album. The album was issued only on tapes because the main goal of the band and the label “0.4.3” was to sell the product to a big foreign company. After the third live performance Belphegor left the band. Year and a half later Karcharoth (Balkanji) with his enthusiasm and great skills brought the band back to life. He was ready for gigs only after two months which till then seemed impossible. So at the end of 2005 and the beginning of 2006 Embrace By Dark stroke 2 more times. The band is still looking for a label and is working on a new material.